The Patient List Report lists patients and their contact information. For each patient on the report, the following information appears: name, preferred name, date of birth, status, primary contact, and that contact person's contact information (phone number, email address, and mailing address). 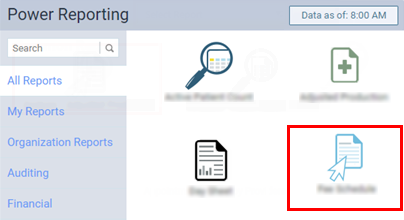 On the Power Reporting page, click (or tap) the Patient List icon.